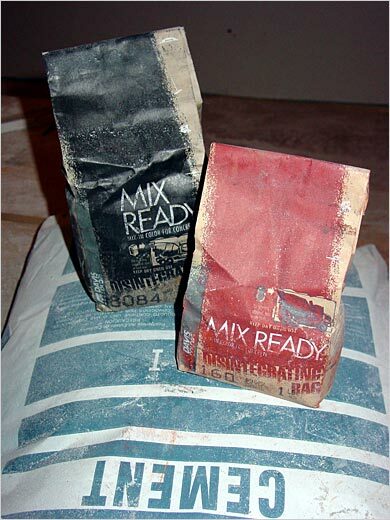 After a few different formulas, I have found a good mix for the black terrazzo. It’s a 1:1:1 mix. 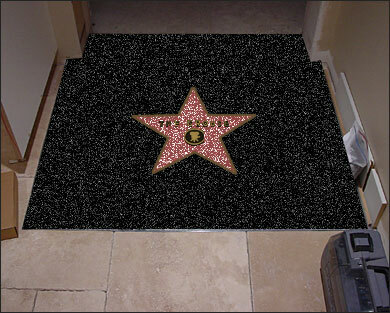 1 Part White Cement : 1 Part Black Sand : 1 Part Raven Black Terrazzo Aggrigate. With a pinch of Davis Black concrete coloring and 1/2 Part of White Terrazzo Aggrigate (for that speckled effect). I’m going to mix and pour it in tonight, and start the pink formula. I finally found some time to lay the Walk of Fame star in its final resting place. 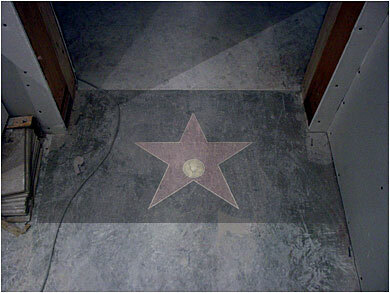 Below is a photo of the star itself ready to be epoxied to the floor. 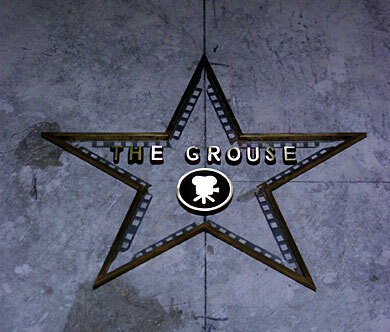 When I first placed it on the floor, I thought I made it too small… but when I thought about it more, I think it’s just right… Heck, I’m not trying to replicate Hollywood Boulevard, but instead give “The Grouse” a classy star. Below is a long shot of the lobby area, and to the right, you’ll see the star placed in front of the door way to the theater. I’m going to be pouring the Terrazzo mix this week, but here is a Photoshop version of what it should look like once it’s all poured. 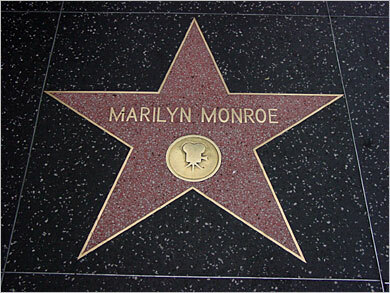 It’s time for me to start Part 3… I contacted the contractors that create the real Walk of Fame Stars and they told me exactly what I needed to do to create my own replica. 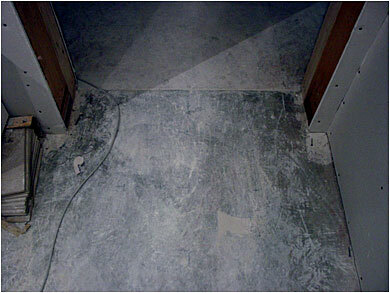 Part 3, will go over everything from the tools needed to the terrazzo mix, concrete coloring and finishing. 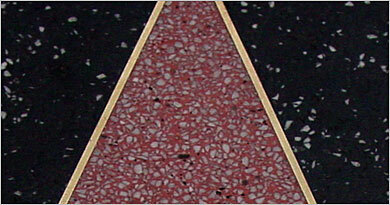 Lets get to it… If we look at the photo of the real Walk Of Fame star, you will notice that the outer border is black with white flakes and the star itself is pink with white flakes. I was told that I needed #1 sized terrazzo to recreate a perfect match. ‘Raven Black’ for the outer and some standard white flakes for the star and outer area. I also needed to buy some Davis Concrete Coloring. For the outer border I bought some ‘graphite black’ and for the coral/pink star ‘utility red’. Because I want a coral/pink color for the star, I’m thinking that using white concrete for the star it will get me a better match (white + red = pink) and standard grey for the black outer area (grey + black = almost black). 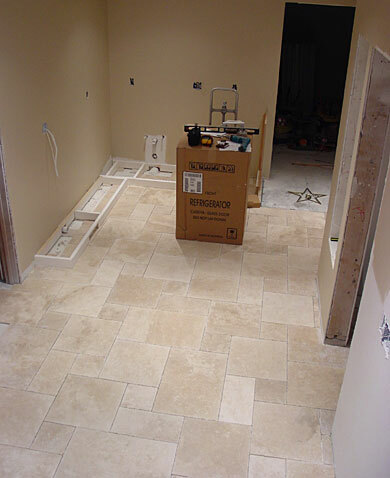 All these supplies can be bought from your local concrete and terrazzo suppliers. – Review of the Makita angle grinder and grinding stone I purchased for this project. It’s always fun being able to justify buying power tools!